These tips are made to the same high standard and using the same natural unbleached chemical and chlorine free fibres as you will find in the RAW Natural rolling papers, allowing you to use a natural filter tip that does not impare any flavours or taste to your favourite smoke. 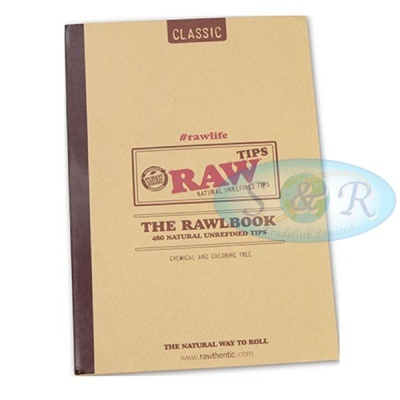 RAW Tips are made on an antique Fourdrinier paper machine. Where as RAW papers are made in Alcoy Spain, we only have machines to produce thin paper in Alcoy. For the thick tipping paper they had to travel to an old paper mill in Northern China that was still using an original Fourdrinier. This was the only place we could find that still had one of these old machines in use, which they needed to make the special long-fiber paper for RAW tips.